Starbreeze AB, one of Sweden’s leading independent game developers, today announced its agreement with the Croatian studio Lion Game Lion regarding the game development project RAID: World War II. Starbreeze will fund the development with 8 MUSD, and will have the opportunity to recoup 120% of its investment with an ensuing 50/50 royalty split. Lion Game Lion and Starbreeze Studios will each own 50% of the intellectual property rights for the game. RAID: World War II is an action-packed, four player co-op shooter game that lets players team up as the Raid crew and venture through the epic events of World War II. “It’s great to see Lion Game Lion succeed so well in our PAYDAY 2 collaboration. By delivering great gameplay, they have not only gained our trust, but also the trust of players. Now it’s time for them to bat in the big leagues with RAID: World War II,” said Mikael Nermark, COO of Starbreeze Studios. “The dream for any developer is to make your own game with a partner who cares about your future. With Starbreeze as our wingman, we get the opportunity to show the world what we can create with our own brand. With RAID: World War II, we’re taking everything we’ve learned to create an experience to die for in a World War II setting,” said Nikica Petrusic, President of Lion Game Lion. 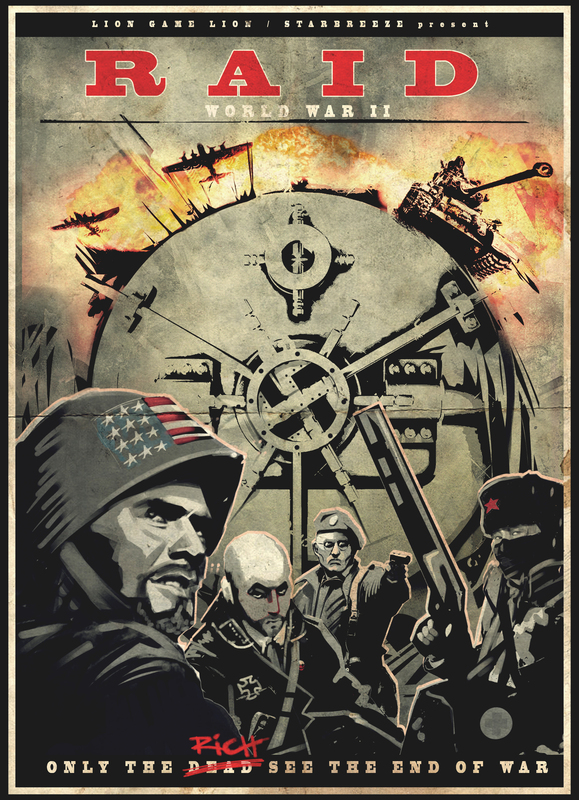 RAID: World War II is in its initial production phase. Platforms and release dates have not yet been decided. Starbreeze looks for the potential best partners and will give you the same. Any aspiring stars should contact Mikael Nermark, Starbreeze COO at business@starbreeze.com. Lion Game Lion, founded in 2013, is an independent studio located in Zagreb, Croatia employing industry veterans from OVERKILL and elsewhere. See http://www.liongamelion.com for more information.